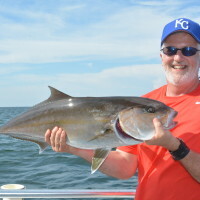 For those of you who like being on the water all day and experiencing different kind of fishing techniques and styles, our full day fishing charter may be of interest to you. 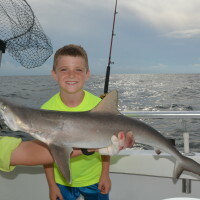 This full day Orange Beach fishing charter embodies all of the characteristics of traditional full day charters, but with a twist. We take you to fish for larger fish in deep waters, and we fish in ways that allows you to catch fish using light tackle. We do not guarantee that you will catch any big fish at all, but we will take you to the places they live and give you a chance to see if you can wrangle one. 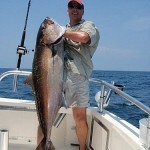 We are not McDonald’s and we don’t take orders for any particular species like grouper, amberjack or even tuna. That is not what we do. We just go fishing. Everybody wants to catch a nice fish, but with today’s fishing seasons and bag limits being closed or low, nobody can take you out there and give any better effort than our team for the money. We encourage you to keep the best and release the rest. The full day trip allows you to have a chance to catch a trophy without being focused on trying to fill the cooler. Remember, we fish the the sport of fishing, not trying to catch and kill everything that bites your hook. If you are expecting to fill your freezer or go home with a haul of meat, then you probably will not like what we do or how we fish. Our full day fishing charters are similar to our half day trips, but we take you farther out where fishing pressure is less and the opportunity to hook into something big becomes a real possibility. 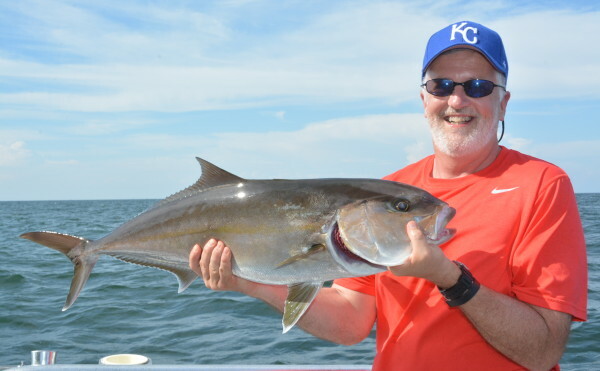 You will have a chance to catch some fish like amberjack and grouper that offer an incredible fight when you head south of Orange Beach with us. We put our trolling lures out and pull for big game fish like wahoo, dorado (mahi mahi/dolphin fish) and many other species. Some days we catch them, some days we don’t. It all depends on weather, sea, moon, tide, current, water clarity and many other factors as to whether or not you will even catch a big fish or not. The one thing we do, is give you a chance and put the right tools in your hand to get the job done when one bites. 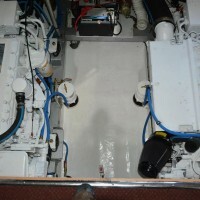 When we leave the dock at Orange Beach Marina, there is no pressure on the crew or you. We want you to enjoy fishing and the full day trip with us, gives you a chance to go deep and not have to worry about dealing with a bunch of fish when we get back to the dock. Sure, if you want to keep a good mess of fish, that is fine by us. The difference is, we don’t focus on how full the cooler is during any part of your trip. Instead, we focus on the quality of your trip. We often come home with only a few fish for dinner, but our guests have the memories and pictures of a really great day on the water. 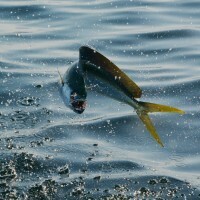 Often, we have only one or two people on the boat who really want to fish. The rest of their group is perfectly content with just riding along, looking at all of the sights, learning how we rig for big fish and mostly enjoy a relaxing day without having to worry about a thing. Most people who fish with us, are conservative and responsible individuals who want to share the deep sea fishing experience with their loved ones. These are our customers. When we take our own family on outings, we focus on being with family and sharing experiences with each other. Those experiences are far more valuable than any part of our trips. If you would like to go deep, come along with us on one of our full day trips and let us show you how good we will treat you.